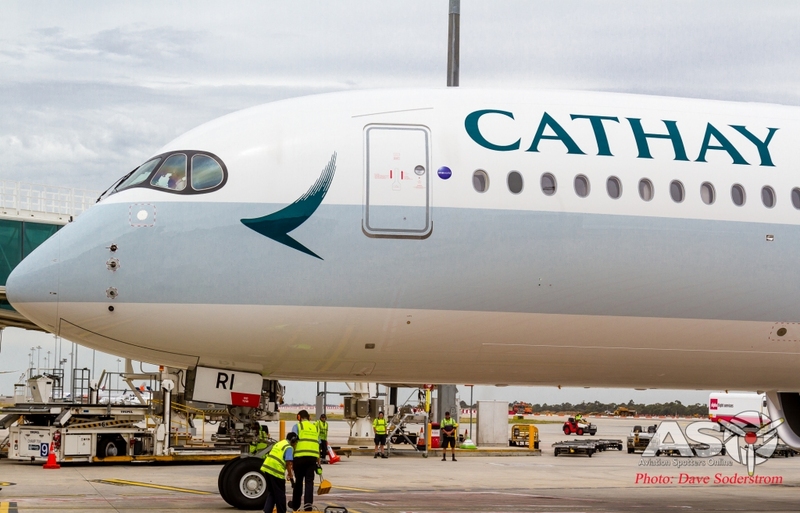 As Airbus A350-941 (B-LRI) Flight CX105 settled onto runway 16 on Wednesday the 1st Feb around 12:20pm, it wasn’t just another Cathay flight, it was the airlines first A350 flight into Melbourne. Another big day for this great airline. 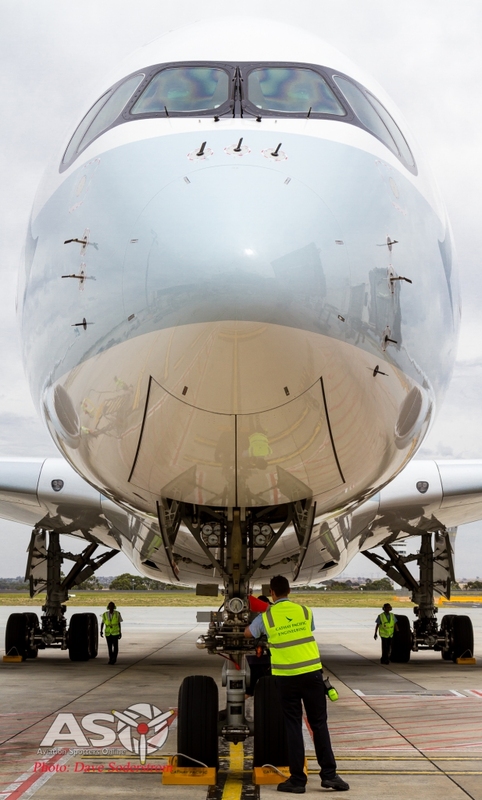 Welcome Cathay Pacific and the Airbus A350-900XWB to Melbourne! Cathay is no stranger to Melbourne and Australia for that matter, already the airline operates three services into Melbourne’s International Airport at Tullamarine. Today’s flight was the first operated by the new generation of airliners the Airbus A350 which until today is usually flown by one of the airlines Airbus A330’s. 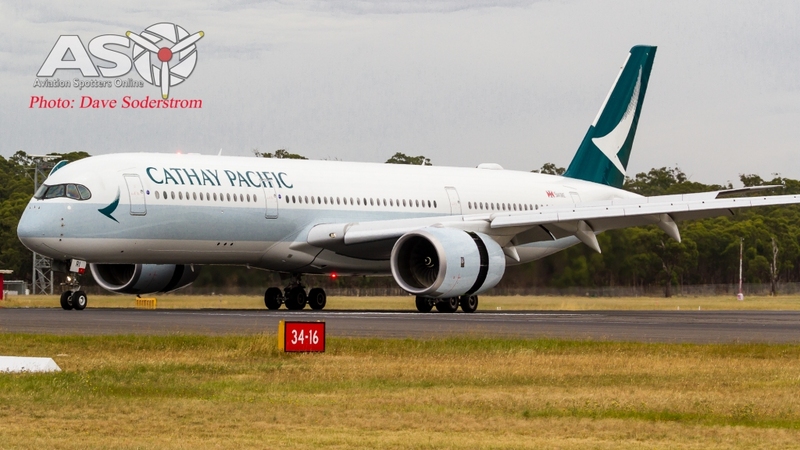 Cathay is upgrading the types of aircraft serving Melbourne which in turn is an increase in capacity. From March 777-300ERs will replace the CX178 and CX163 flights. Cathay Pacific Cargo also operates into Melbourne with either a Boeing 747-400F or 747-8F on scheduled services. 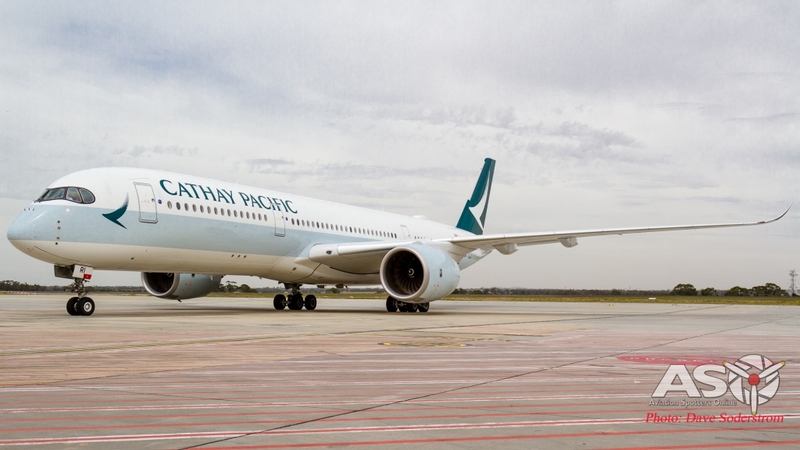 Cathay took deliver of their first A350 at the companies Toulouse factory in France on Sunday, 29 May 2016. The aircraft passes the Melbourne International Control Tower. 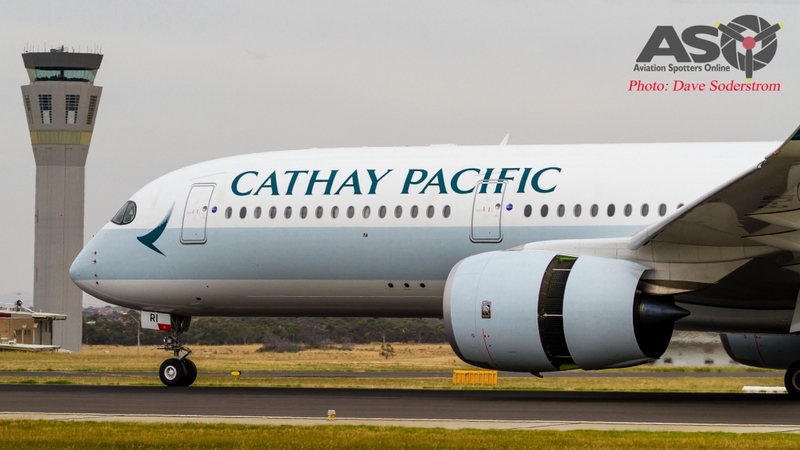 Cathay has a long association with Australia, the airline being started by Australian Syd de Kantzow and American Roy Farrell. 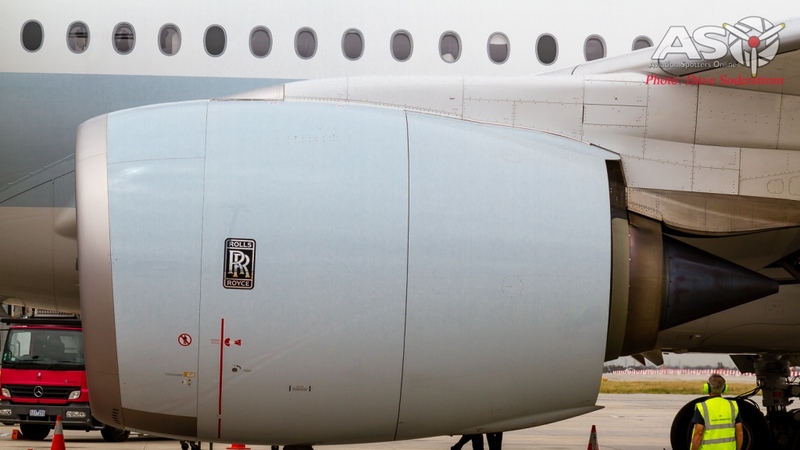 The two pilots saw a demand for a service from Asia to Australia. The two men, one an amateur pilot (Roy) who had been flying for CNAC (China National Aviation Company) and Syd who had done everything from being a test pilot to flying Blenheim bombers in the Royal Air Force, the two soon found themselves flying and operating over what was known as the ‘Hump’. This service over the Himalayan mountains cemented the idea that an airline service from Asia to Australia was required. Soon after the first aircraft was purchased, the tried and proven Douglas Commercial 3 or DC-3. The first aircraft ‘Betsy’ as it had been christened began its trade flying between China and Australia. The two officially registered the airline as Cathay Pacific in 1946. 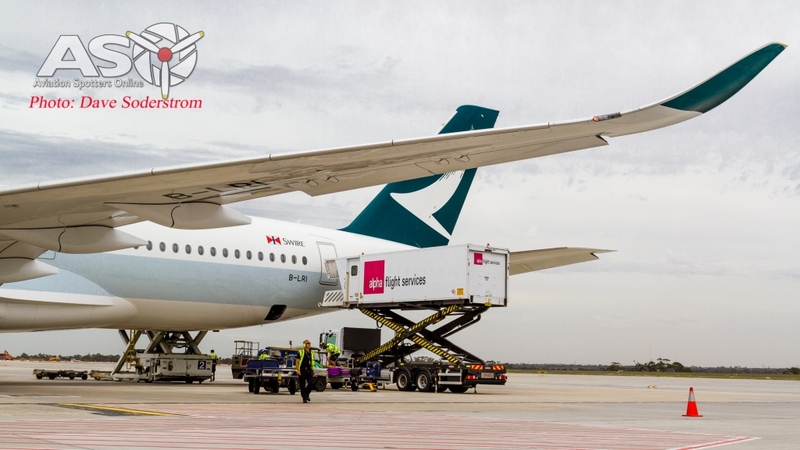 Why Cathay Pacific? Well the two men put some thought into this. Cathay was the ancient name given to China and Farrell believed that one day they would fly across the Pacific. The airline quickly grew and by 1947 three more DC-3s were added as well as a Catalina flying boat. A prominent feature on Cathay aircraft from the earliest of days was the ‘Swire’ logo on the fuselage. In 1948 Butterfield & Swire, today trading as Swire Group purchased a 45% stake in Cathay Pacific, with Australian National Airways taking 35% with Farrell and de Kantzow taking 10% each. 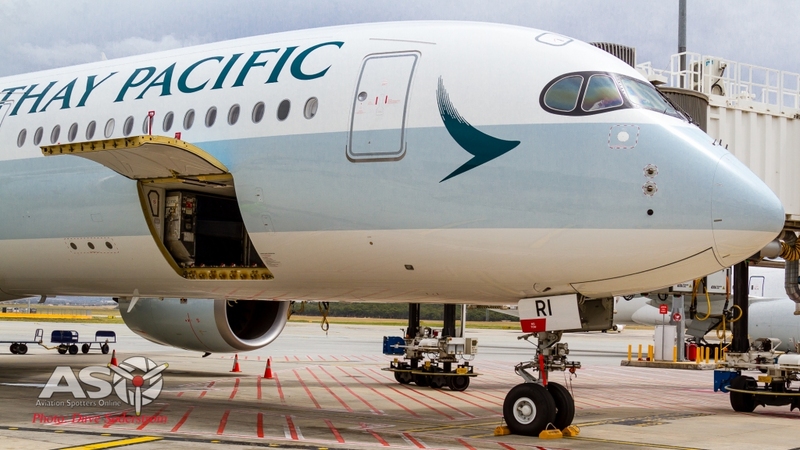 Of course today Cathay Pacific is much expanded and serves over 168 destinations in 42 countries and territories. From the humble beginnings with a single DC-3 to today’s fleet of 143 aircraft which includes, Airbus A330-200/300s, A340s, Boeing 777-200/300s and Freight configured Boeing 747-400 and 8Fs and the new Airbus A350s, the airline continues to be rated in the top ten of the world’s airlines. The A350 Business Class seats are an evolution of the of airlines award-winning long-haul Business Class product . 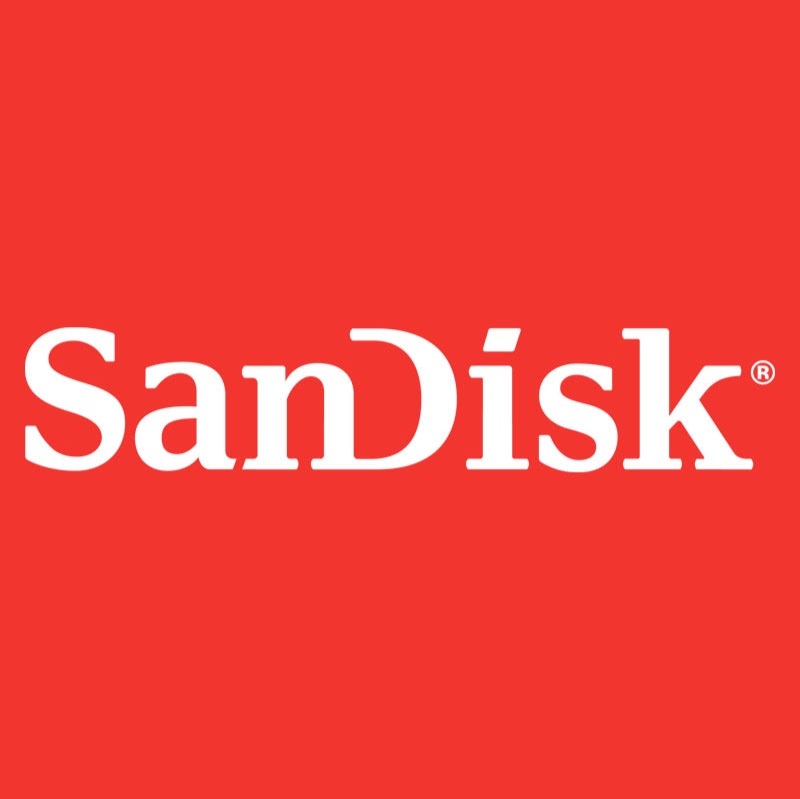 A bed that folds into a completely flat position, allows for extra stowage space along with a ‘personalized service’ offered by a “Do Not Disturb” and “Wake Up Call” function in the entertainment system. Not to be forgotten the Premium Economy Class and Economy Class seats are loaded with new features this includes a dedicated tablet holders ( we all need somewhere to hold the IPAD) and passenger exclusive power outlets and USB ports. In Premium Economy Class the seat gives each passenger has a leg rest which, together with seat, gives you more flexibility to adjust for optimal comfort. A new aircraft also means a new inflight entertainment system. Connectivity is installed for the first time in a Cathay Pacific aircraft, (hence the hump on the rear fuselage) All seats come with the latest high-definition touchscreen personal TVs and offer a selection of movies, TV, live news channels and music. Inflight Wi-Fi is also available to connect to family, work and world events or that important Facebook update. Ground crew commence servicing the arrived aircraft and learn about the various aircraft systems needed to unload the aircraft. 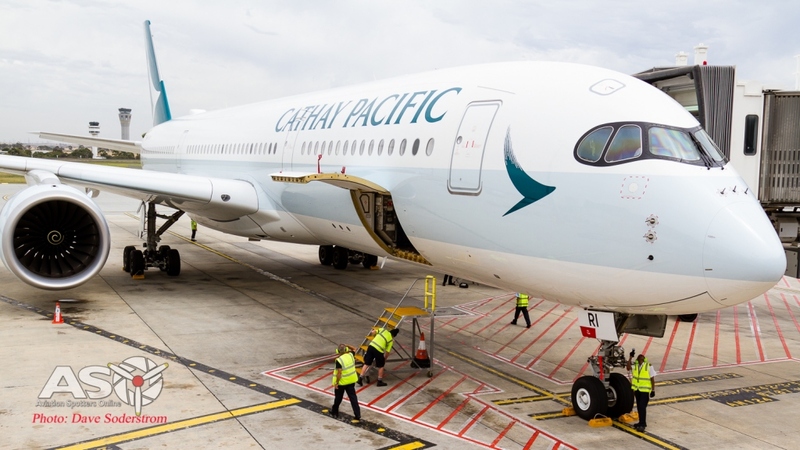 Cathay Pacific is a member of the OneWorld Alliance of airlines. 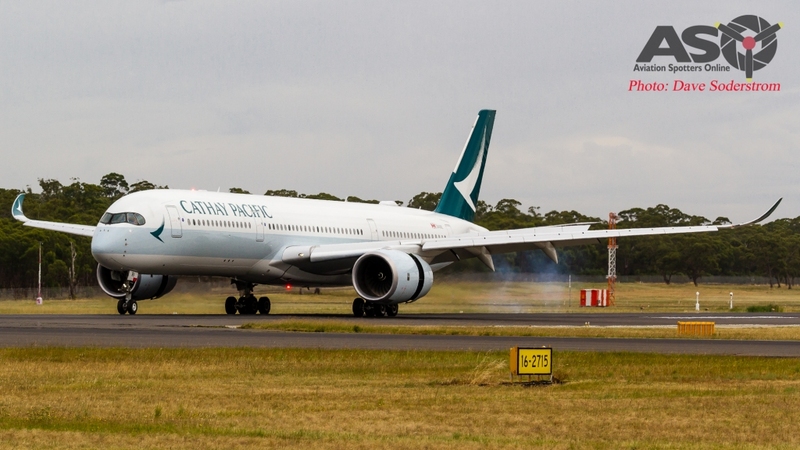 ASO would like to wish Cathay Pacific and its crews a warm welcome to Melbourne in their new Airbus A350-900XWB! 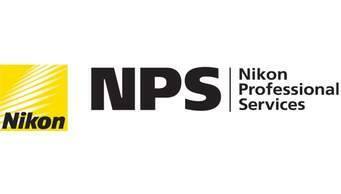 Aviation Spotters Online is proud to partner with Melbourne International Airport to present the photos and article above and thank them for their great hospitality.